Do you want clarity on the solution you provide from the work you love, so that you have clients love buying from you...? And, all the while enjoying the space you work in, the content you create, and how you get the word out there? And, dear friend, it is that online brand that brings you raving fans, paying clients, and an inspiring, adorable business you enjoy running. Allow me to make it EASIER for you to learn what you want to know, so you can attract your blissful clients — that is, the PEOPLE you were meant to serve, who will love what you do, so you can give them the service they SO deserve (and yourself the sales you have been waiting for). 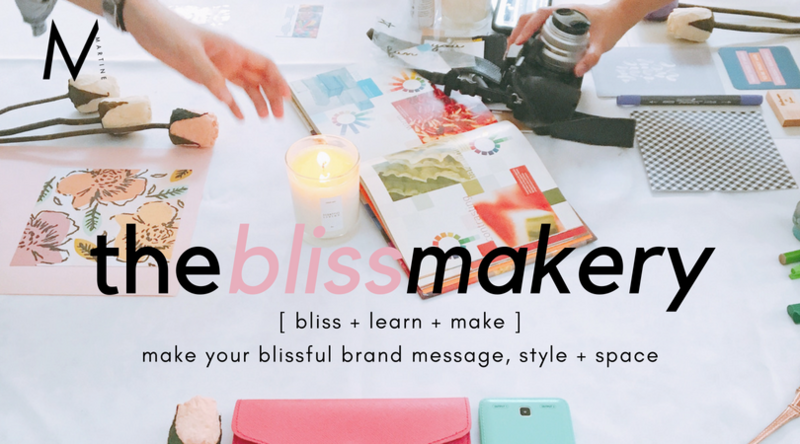 The BLISSMAKERY is a holistic, Personal Brand Coaching program, where you can craft a brand that connects your values with a life you adore. It is a venue for connection, creativity (not necessarily art! ), and possibilities. It is an online space where you can learn and discover freely, while improving your business, social media assets, without forsaking the things that matter most: family, home, self-care and your personal endeavors. With The Blissmakery, I have taken ALL my best-selling workshops and making them available ALL TOGETHER in a module-based, LIVE COACHING (delivered as audios and video recordings of the coaching sessions, so you can access it anytime) + workshop experience that is self-paced. That means wherever you are in the world, you can access my six years worth of workshops on blogging, personal brand building, Instagram, content creation, writing, and visual branding, in one neatly-designed, purely online program. 4 Coaching Modules in Audio & Action Work Format // These will contain training from me on each of the Four Blissful Pillars of Building a Brand That You & Your People Love. 4 RECORDED COACHING CALLS with Martine. The actual calls were first recorded during the inaugural Blissmakery in October 2018. These videos are accessible anytime, in the private Blissmakery Materials hub. It's win-win! (During times when the Blissmakery is IN-PROGRESS, yes, you can BE AT THE LIVE COACHING SESSIONS, and they will include times for you to BE COACHED BY ME in the group!). *Note: After the inaugural Blissmakery finishes live coaching calls in October 2018, the next round of live coaching calls will be announced. PLUS: Sweet BONUS Facebook Live Trainings, only for Blissmakery! Get these yummy bonuses, at no extra cost to you! You’re welcome. powerful assignments, Facebook access group and everything listed above. 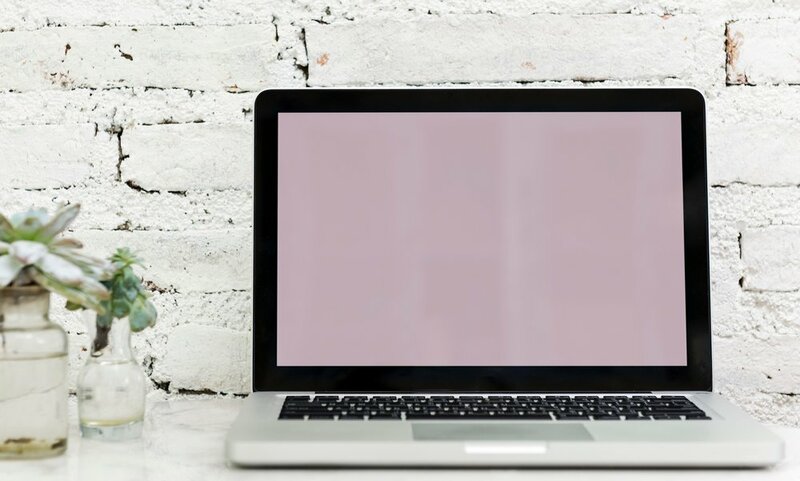 Since the course is self-paced, you'll have ongoing access to the modules for life, so you can begin and continue to work on it at the time that is best for YOU. Each module includes an Audio Guide, an Action Worksheet with Module-Specific Tasks to help you implement the bootcamp material right away, and a corresponding recorded Coaching Call, conducted LIVE during the Blissmakery’s inaugural run this 2018. So, you get ALL the materials as-if you attended the live coaching calls, AND you will have access to the private Blissmakery Personal Branding Bootcamp Collaborative on Facebook, where all other students of the program continue to connect and support one another. It's win-win! make it blissful, today. build a brand you love & get paid to BE who YOU TRULY ARE. Step CONFIDENTLY into the market with a Brand you're proud to BE and OWN. Get your ideal clients & customers buying from you happily, because you are serving them. take me to the Blissmakery!